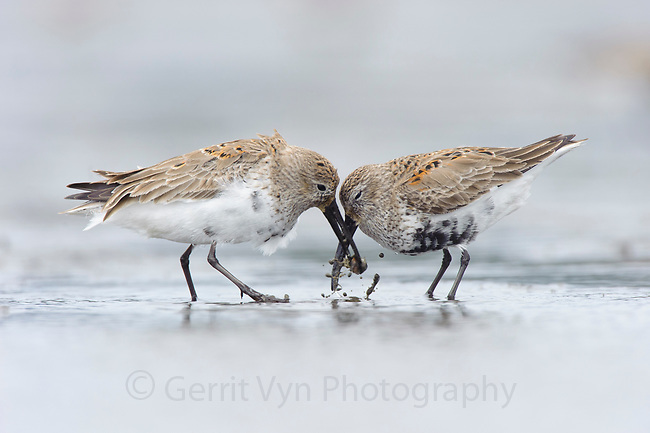 Two adult Dunlin (Calidris alpina) molting into breeding (alternate) competing for a prey item during spring migration. Gray's Harbor County, Washington. April.